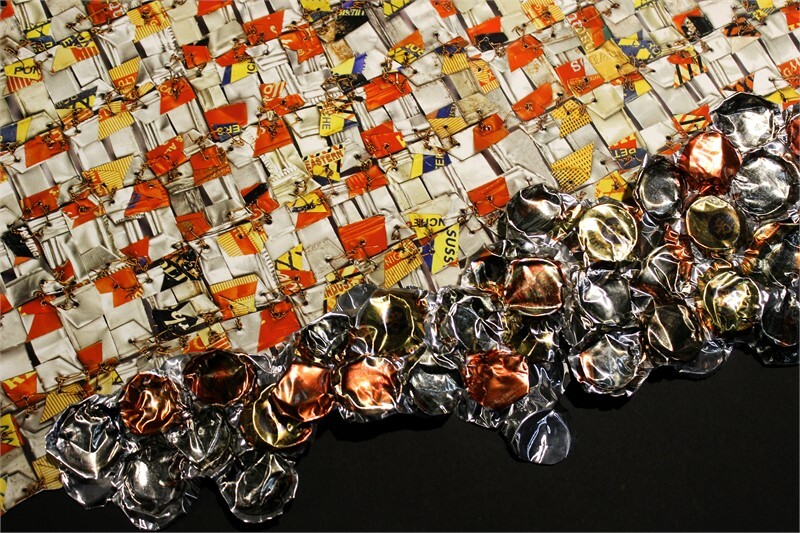 “I work more like a sculptor and a painter put together,” says El Anatsui (b. 1944). The Ghanian artist’s fiery wall sculpture Paper and Gold is a vibrant testament to this process. 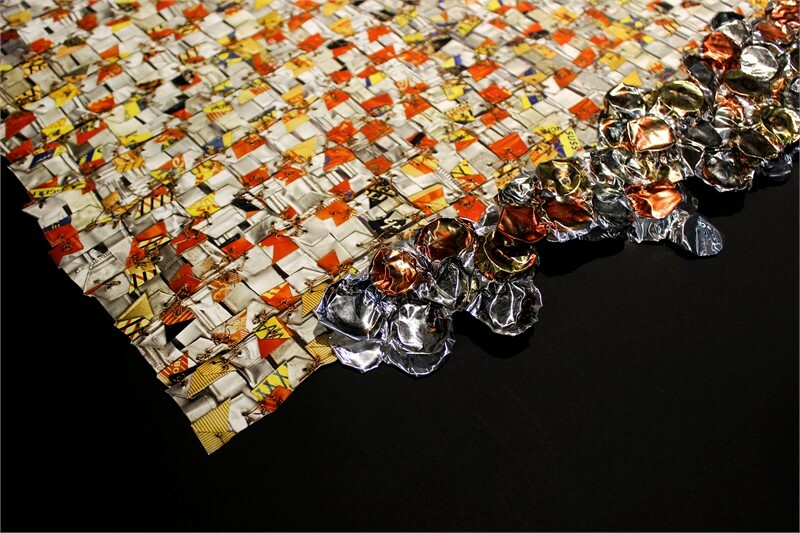 The artwork is part of his critically acclaimed “bottle-top” series, assemblages made from thousands of aluminum pieces and stitched together with copper wire. 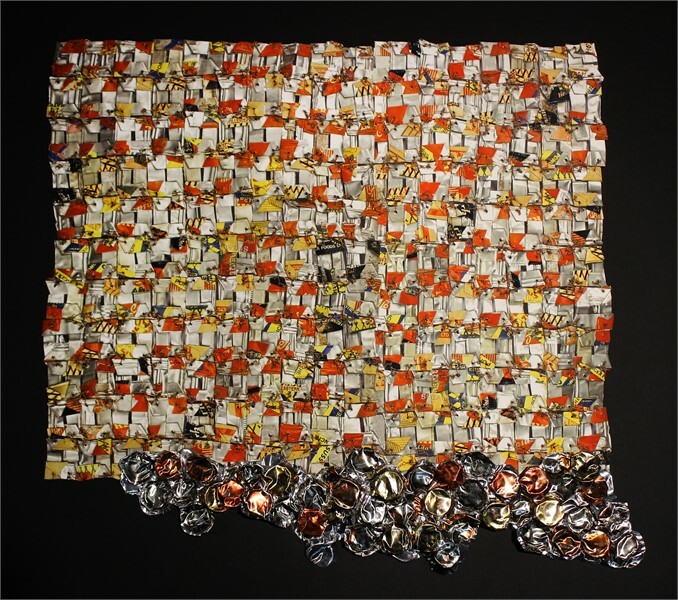 The artist salvages these materials from recycling stations in his home of Nigeria, turning humble ephemera into flowing artworks that are often monumental in size. Click here to watch a video of the artist’s process on Art21, and scroll down to view the artwork. Click here to browse the Zane Bennett Contemporary Art collection. Guy Dill Paints in the Air.